The photo reminds me of the people who I often see waiting at large intersections selling copies of The Big Issue. If you've visited Cape Town you, for sure, must have seen them too. The Big Issue is 15 years old today, they've published 192 editions and have helped hundreds (probably thousands) of people get back on their feet. Now that's something for a non-profit public benefit organisation to be proud of! The Big Issue employs homeless and unemployed people as vendors on a profit-sharing basis, sharing 50% of the retail cost of the magazine with the vendor. Instead of giving these people a once-off meal or a place to sleep, The Big Issue help them take charge of their lives by giving them a way to earn money. Each time you spend R18, R9 goes to the vendor and the rest gets funneled back into producing the magazine. Isn't that an awesome concept? 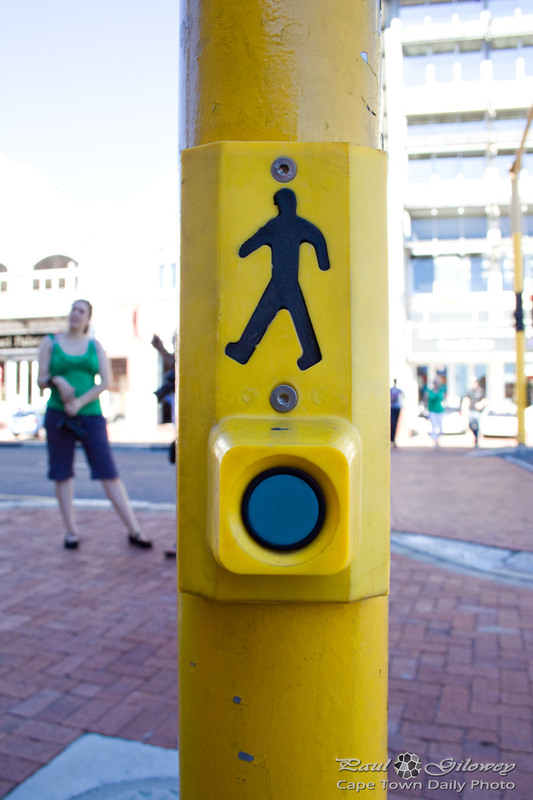 Posted in General and tagged man, traffic light on Thursday, 16 February, 2012 by Paul.